or even climate change on next year’s agenda." doesn’t mean it won’t be soon." Apparently that doesn't mean it will be, either. 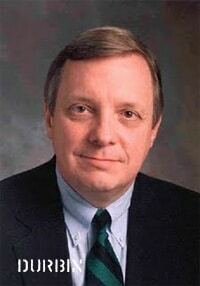 So, according to Durbin, not now, not next year. Once again, they'll get to the gay stuff when it's convenient (or, of course, when we start withholding campaign contributions again).